Drunk in love (with french fries). Drunk food is important to the college student diet. Honestly, where would we all be without the drunk kids who decided that chili needed to go on a hot dog? Check out some of the best drunk food inventions that have graced humanity with their presence. Combination: onions + cabbage + pickled cucumbers + tomatoes + döner (meat cooked on a vertical rotisserie) + pita. 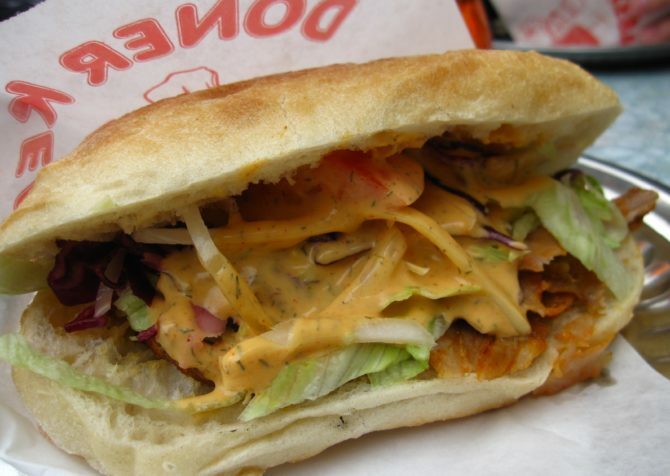 Döner Kebab definitely deserves to be first because it’s an #iconic drunk food. Combination: eggs + mussels + bean sprouts. 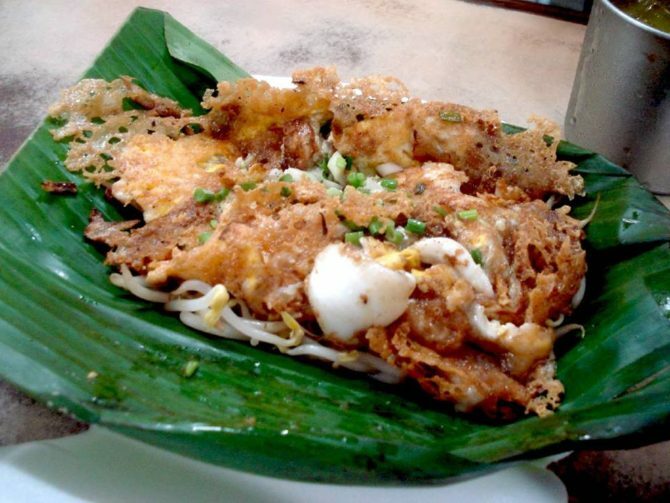 This street food from Thailand is hella important to the Thai students drunk diet. Combination: french fries + cheese curds + gravy. Canadians get drunk too and when they do they have the beautiful poutine dish to eat. 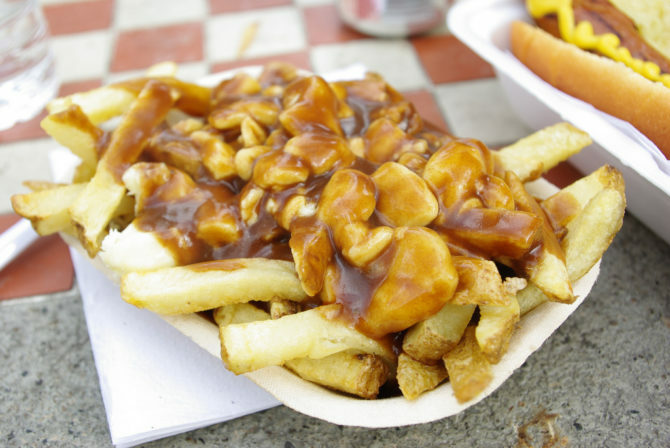 Poutine was invented in Quebec and can be found in most greasy spoons in Canada. Combination: french fries + döner + layer of gouda + salad + dressing + garlic sauce + sambal (Indonesian hot sauce). 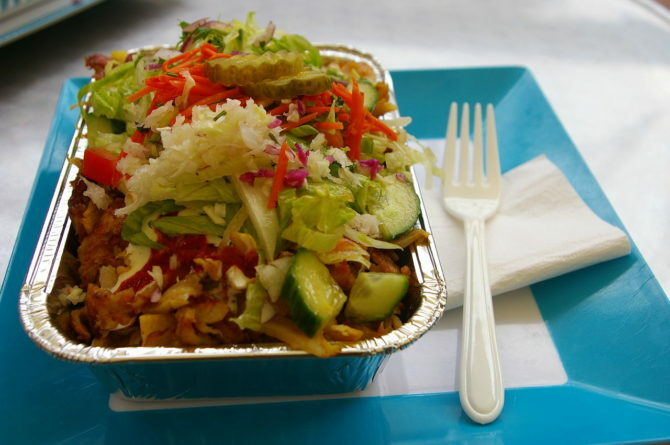 Basically, some drunk guy/gal in the Netherlands took some french fries and thought they should be healthier—or maybe they took a salad and thought it needed to be greasier. Either way, we’re all thankful. Combination: boerewors + hot dog bun + tomatoes + chili + onion relish. 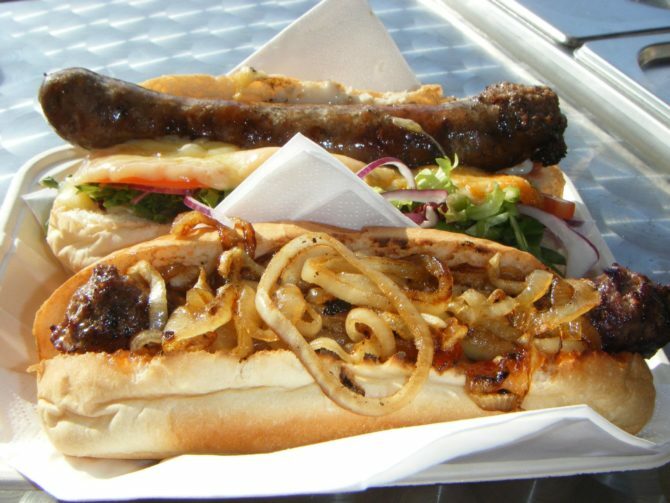 A boerewors is a South African and Zimbabwean sausage, which is really popular. It’s made from a mixture of lamb, pork and spices. Basically it’s a hot dog but a thousand times more awesome. Combination: bread + potato and cheese pierogies + grilled onions +Napa vodka kraut + cheese. This is the sandwich to end all sandwiches. 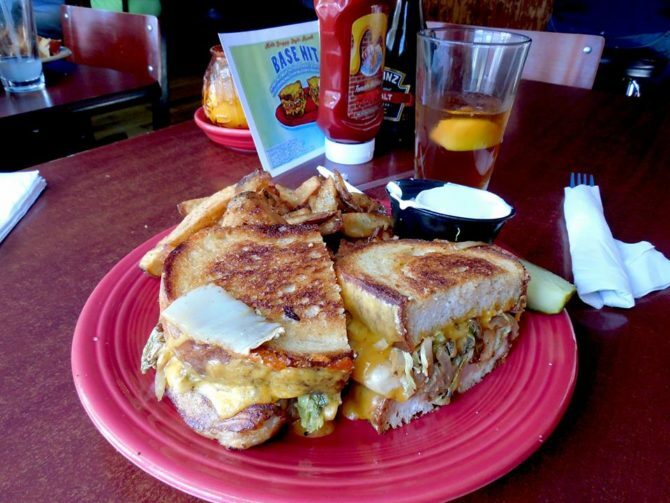 So if you are drunk in Ohio and looking for a good sandwich, go to Melt Bar and Grill and order one of these heavenly concoctions. Combination: Chicken sandwich + Double Cheeseburger. I know, the name is kind of atrocious but many people in the US swear by how good this sandwich tastes. 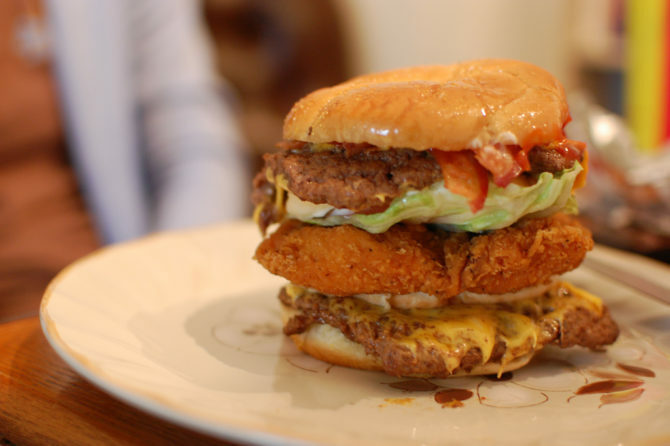 It is the chicken sandwich inside of the double cheeseburger making it one of the most popular items on McDonald’s secret menu. If you’re not a McDonald’s person, it can be created at pretty much any fast food restaurant. Combination: two hamburger patties + two sunny side up eggs + cheese + hash browns + onions + chili + toast. 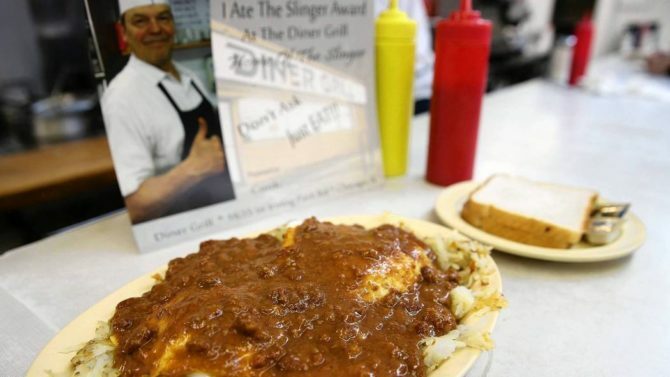 This late night eat hails from the Chicago 24 hour restaurant called Diner Grill. You can come here late at night when you’ve just come from partying or the next day when you’re groggy and hungover. 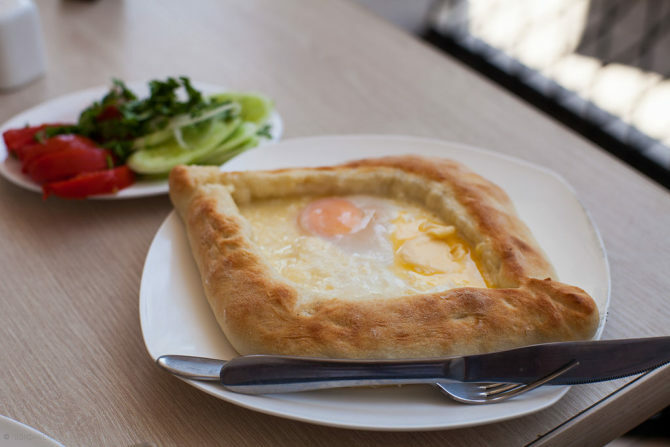 Combination: bread dish + cheese + eggs. This is everything a drunk person wants that is then baked into one dish. It’s also super environmentally friendly because no part of it goes uneaten. 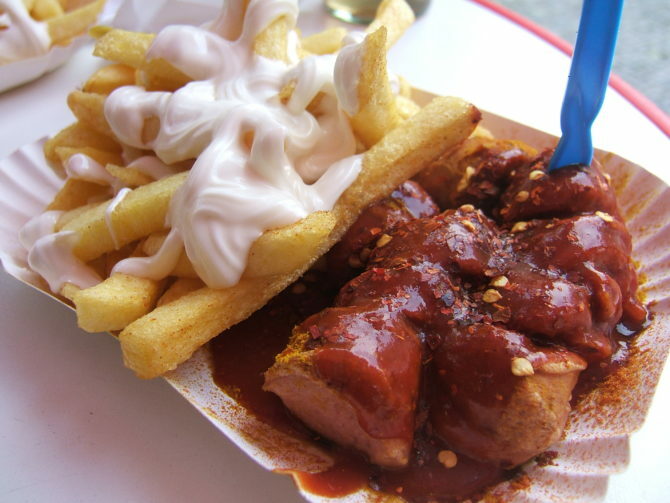 Combination: steamed and then fried bratwurst + french fries + curry ketchup + curry. Germany doesn’t just have a celebrated high education system but they also feed students too. Germany, you are truly looking out for college students. Combination: chili + hot dog + cheese. It’s so messy, which is partially what makes it so great. 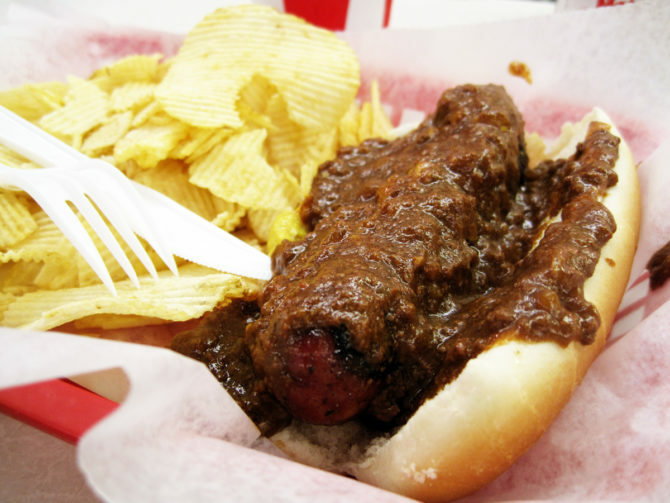 If you haven’t tried a chili dog yet, you are seriously missing out. Combination: hot dog + bread + mashed potatoes + shoestring potatoes + mayonnaise + bacon bits + vinaigrette +ketchup + mustard. This Brazilian style hot dog has everything in it. They are sometimes pressed like a panini, but no matter how they are served it is impossible to eat them without finishing. 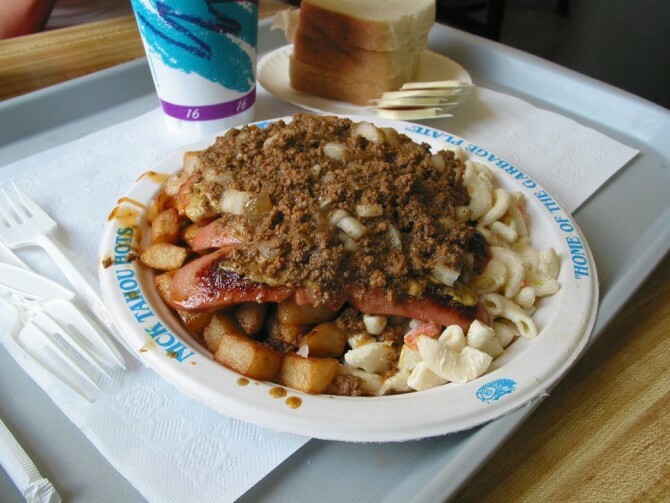 Combination: french fries or home fries + macaroni salad + baked beans + a choice of cheeseburgers, hamburgers, red or white hot dogs, Italian sausages, chicken tenders, haddock, fried ham, grilled cheeses or eggs + onions + mustard + a spicy ground meat sauce. If you can’t venture to upstate New York to try one these on a late night, make it at your house (before getting drunk of course). 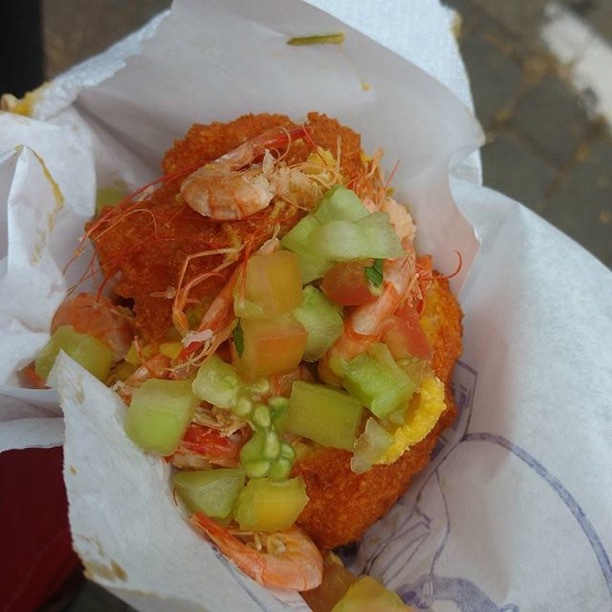 Combination: acarjé (deep-fried ball of mashed black-eyed peas) + shrimp + spicy puree of prawns and nuts. It’s fried, there’s shrimp and it’s spicy. What more can a girl ask for? Nothing. There is nothing missing from this beautiful dish. Combination:(any variation of these ingredients) okonomiyaki sauce + pork + cabbage + green onion + fried egg + squid + octopus + shrimp + vegetables + cheese + noodles + mochi + pancake. 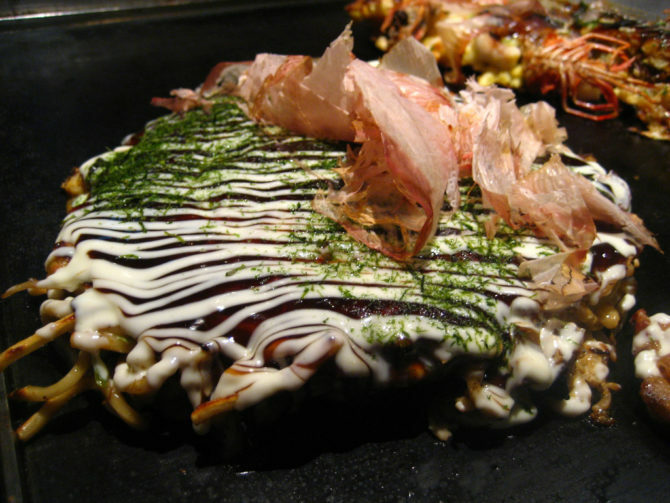 The name Okonomiyaki is derived from the word okonomi, which means “what you like.” It’s fitting because anything a college student could want or think of is packed into this pancake. 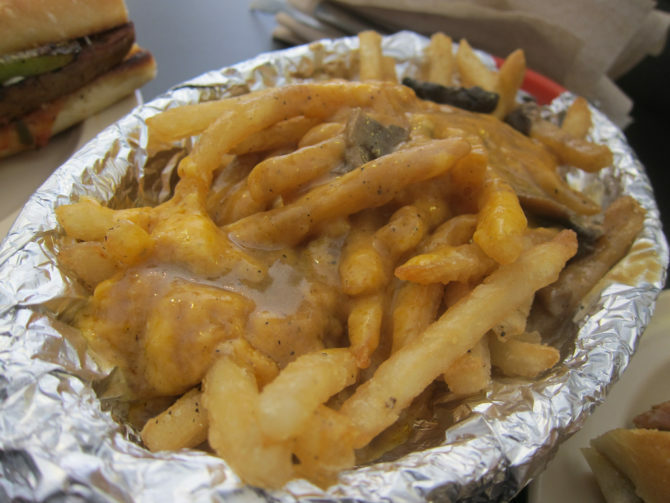 Combination: french fries + gravy + cheese sauce. This is the American version of poutine. The difference is that the cheese on the french fries is not cheese curds. While usually mozzarella is used, other cheeses can be substituted, and no matter what cheese is used it’s always delicious. 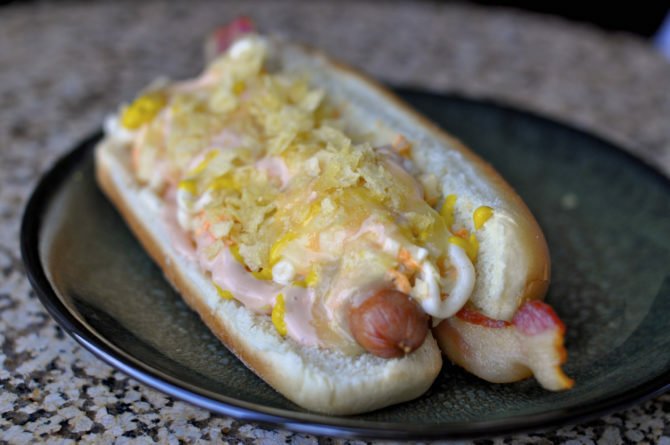 Combination: boiled hot dog + coleslaw + chips + mustard + pineapple sauce +mayonnaise + ketchup. Yaaaass Colombia. 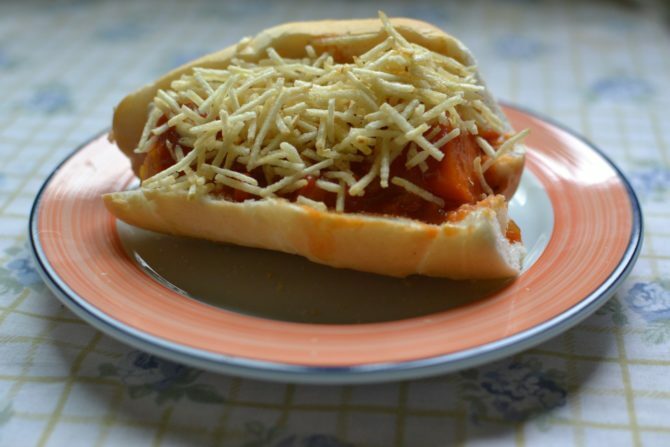 From sweet to salty, this Columbian hot dog has everything. Combination: white rice + hamburger + fried egg + gravy + (any variation of these ingredients) chili + bacon + spam + shrimp + oysters + teriyaki chicken or beef + Kahlua pork. 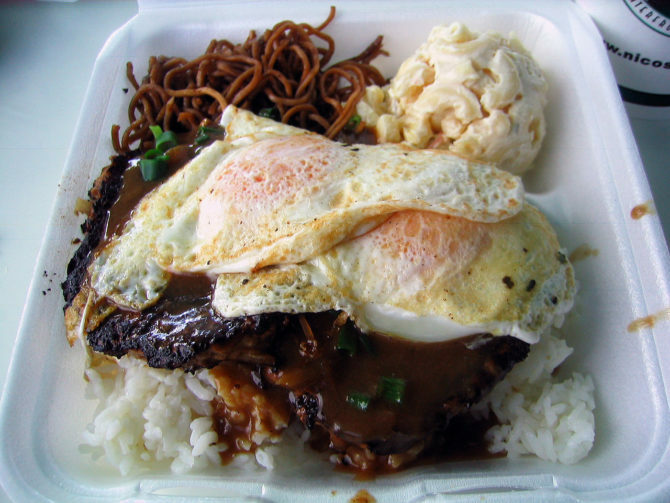 This flavorful dish comes from Hawaii but if you don’t want to hop on a plane you can definitely try to make it in your dorm as long as you’re sober. 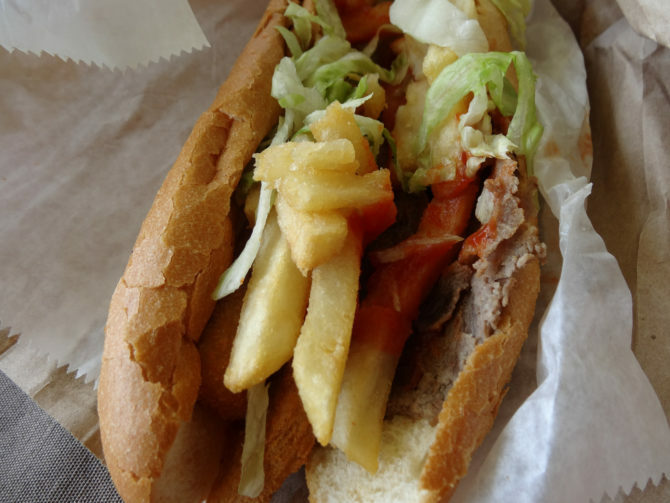 Fat Sandwiches are popular in New Jersey mostly because they are packed with all of the typical college student’s favorite junk foods. If someone could bring these to DC I would be eternally grateful. 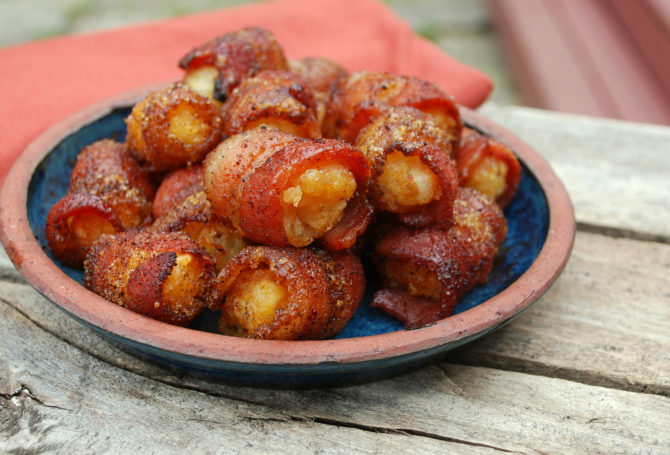 Combination: tater tots + bacon. Everyone loves pork and potatoes. The alliteration alone proves that it is a combination that is meant to be. Just be sure to make them pre-drinking. 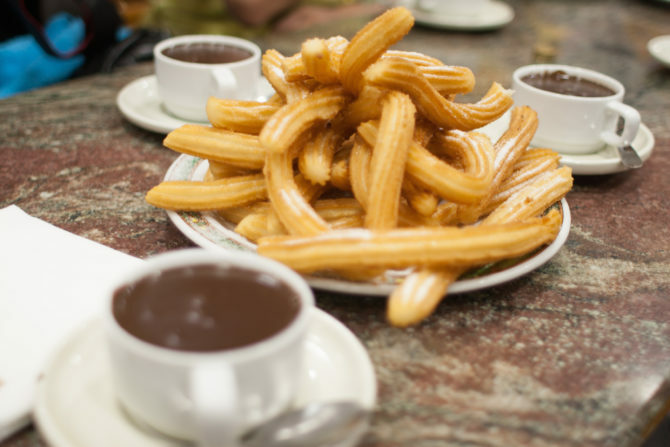 Combination: churros + chocolate sauce. A thousand thank you’s to Spain for the dessert we never knew we desperately needed. Grab your friends and go on a drunk food adventure. Try as many of these drunk eats as you can.